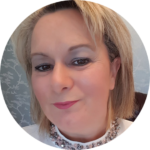 I have been a successful Mortgage Adviser for many years now, obtaining my Cemap qualification in December 1999 while I was working for a top ranked building society at the time. 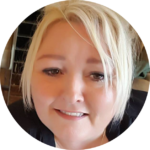 My career started with the same employer as a customer adviser and mortgage adviser where I then moved onto being a mortgage broker/business development manager, also working within an estate agency. The experience I have gained in retail banking, building societies, estate agents and mortgage brokers in the past, has given me the tools to help my clients over the years and with great success. I have met some fabulous clients over the years maintaining contact and even being invited to some amazing weddings and christenings along the way. I am married with one grown up daughter, and I would like to think I will have grandchildren in the future, but I don’t always get an approving look from her when this is mentioned. I have lived in Doncaster all of my life and I know the area and surrounding villages very well. However I have covered quite a large regions from Scarborough to Nottingham. I love spending time with my family and friends, and my best family holiday memory would be with my husband, daughter, Mum, brother and my niece and nephew in Disney Florida. We gave my daughter a puppy for her 11 birthday and we still have him today, although he not the best behaved dog, always getting into trouble. I have been a successful Mortgage Adviser over the years starting in 2005. I have the CeMap qualification, and a BA (Hons) in Business, obtained at my local university in Grimsby. My career has taken me from being a cashier in Banking, to Personal Banker, Mortgage Adviser, Bank Manager and Mortgage Broker. I have worked for Banks, Building Societies, Estate Agents and Brokers. The experience I have had has proved invaluable. I’ve worked with some fantastically talented people over the years and met some wonderfully loyal and very funny clients, and I’ve appreciated every one of them. They keep me supplied with wine and chocolates. My heart has always been with being a mortgage broker, as not everyone fits the mould of an individual bank, I love the fact I have choice for my clients. There is nothing better than someone moving into their new home, and you have helped them get there, or you have helped ease there financial pressures. Outside of work, I have lived in Grimsby all my life, I know the area very well, as well as the surrounding Cleethorpes, Louth, Brigg, Immingham right up to Scunthorpe. I have been married for 29 years, I love spending time with my granddaughter, she is very entertaining, and we have a second granddaughter on the way. I love family holidays, the furthest I have travelled is to Australia, to see my sister, spending New Years Eve on the Sydney Opera House steps with my husband and 2 sons was a very special memory. I am planning on visiting Canada soon, as I also have a sister there, so would be rude not to take advantage. I have a Jack Russell called Max, he was rescued and we got him from the RSPCA, I’m a big believer in having a rescue dog over any other.